Relevant statistics and data surrounding cannabis in Oregon which are reported by various sources are constantly changing and the Oregon-Idaho HIDTA continuously reviews the information that is made available. As part of the program’s continuing review of available, reliable and relevant data surrounding cannabis in Oregon, a noticeable shift in Oregon Medical Marijuana Program (OMMP) and Oregon Liquor Control Commission (OLCC) registrant information for grow sites and producers was identified. 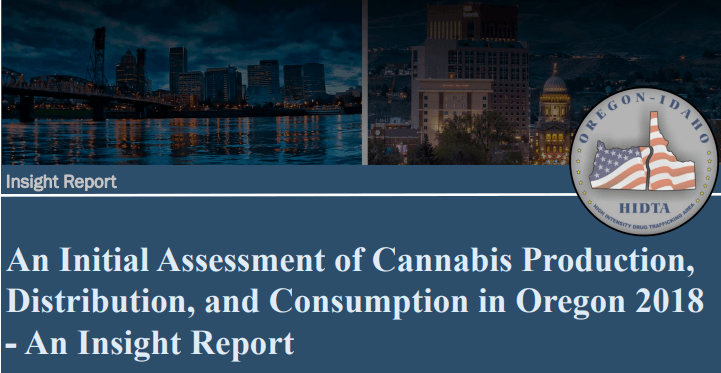 Because the new information reflects a fairly significant change from the data reported in An Initial Assessment of Cannabis Production, distribution, and Consumption in Oregon 2018 – An Insight Report which was published last week, we have amended previously reported data and are issuing an updated report. Click below to read report.